When we are not connected we feel isolated. And some remote places are really isolated from the rest of the world. Because there are no roads to get to the districts where secluded people live, no gas pipelines to carry methane for central heating, no water mains, no oil pipelines, no telephone lines and no fiber optics. Today being connected means that it’s a lot easier. It's easier to communicate, easier to travel, easier to transport things. And easier for business. But it is not only roads that connect towns, cities, and countries. Beneath us, there are invisible underground junctions: a tangle formed by a web of conduits, cables and pipes. This grid constitutes a real network, like the way our blood circulates around our bodies. They are the lifeblood of a country. All over the world thousands of construction sites are being built, where trench work is under way to put together new pipelines for the transportation of gas, oil and water. These are often enormous infrastructure projects, divided into sections, often located in isolated places, where it is necessary to build miles of tracks and roads to allow access. 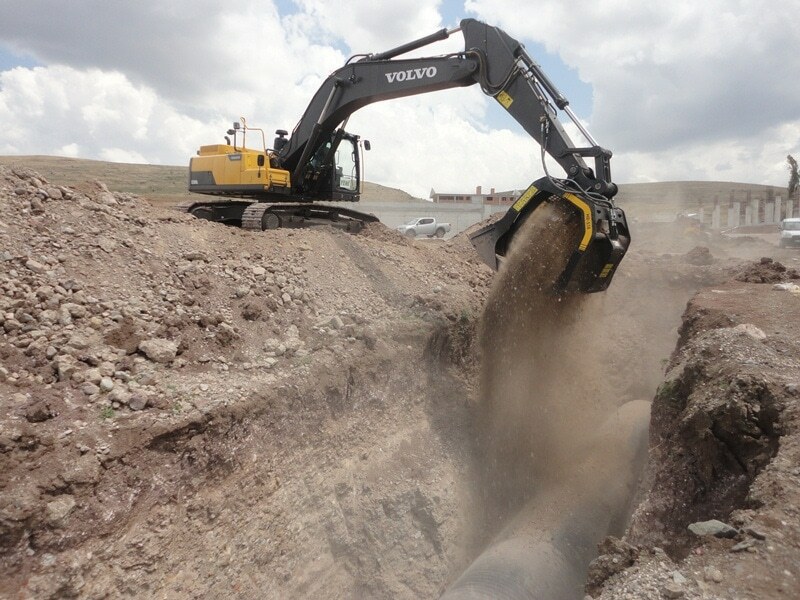 Heavy equipment units follow the site for miles and miles to dig the trenches, prepare the trench bed, install the pipes, prepare the materials to cover the pipes and close the trenches. 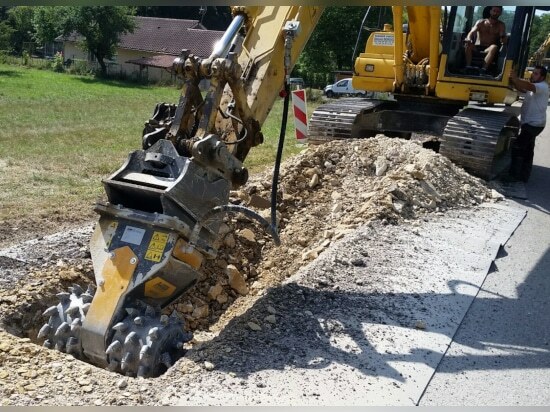 Traditionally large-sized crushing and screening equipment is used to obtain the required aggregate size to lay and cover the pipes, ideally it needs to be moved near where the pipes are being laid. But at times large-sized equipment cannot reach certain sites. Because there are no roads to connect them, therefore the inert to be reclaimed are taken elsewhere, processed, and only after re-used. These operations are proven to be time-consuming and costly. Instead MB Crushers and Screening Buckets follow the job step-by-step. 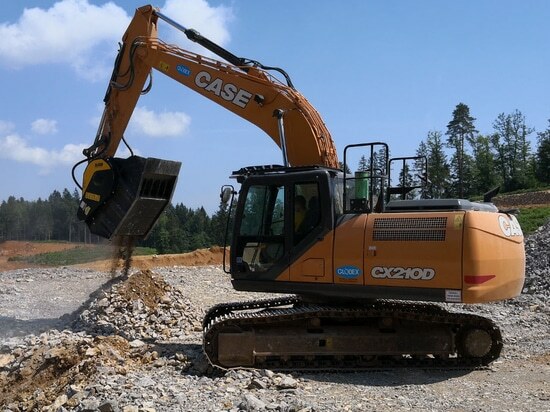 They are installed directly onto the on-site excavators, so operators have no other transport costs. They collect the materials extracted from the excavation site and process it, reducing it in size and screening it. And so on and so forth along the whole length of the trenching site. There are examples of this way to operate all over the world. 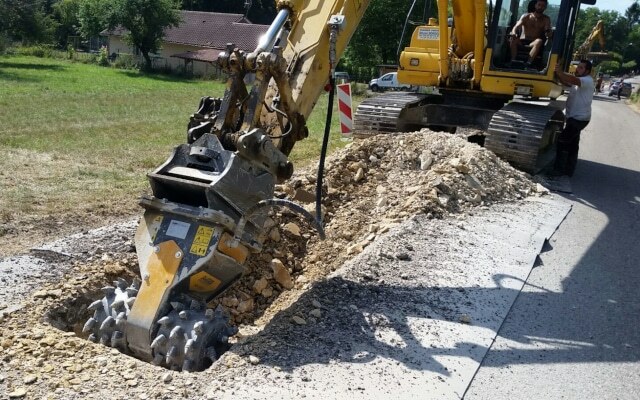 Machinery maintenance is also time-consuming and expensive, especially when the construction sites are located in areas not served by roads, away from built-up areas and workshops. The maintenance of MB products can be done directly on site, without the need to take them to the maintenance facilities. Maintenance is relatively straightforward: just a few pumps of grease every now and then which can be done by the operators themselves. The drums of the cutters can be removed directly on site. No extra costs, no time wasted. 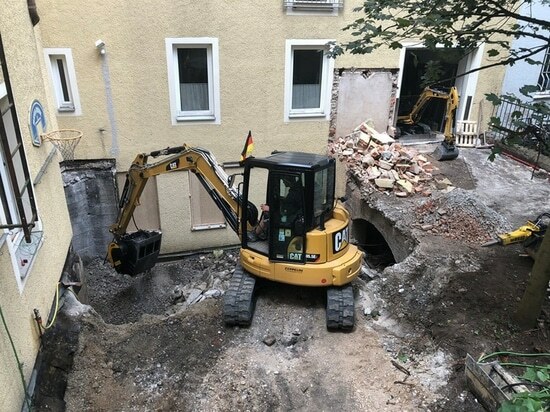 Regardless of whether it is a small site or a large-scale construction site, MB offers high-performance machines designed to meet every need. 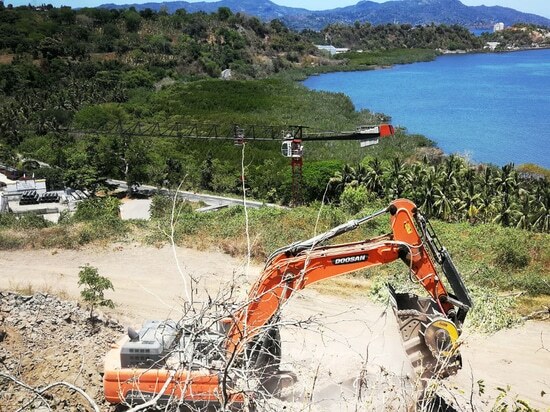 In addition, those who use MB products can carry out the entire production process while respecting the local environment without changing any of the stages of the process, since excavations and trenches are both filled with previously excavated materials.